If you want to download free iPhone games, free iPhone themes, you can visit these iPhone websites. Free iPhone Games, Free iPhone Themes, Free iPhone wallpaper. NOW let’s start the guide to make free iPhone ringtones with iTunes. 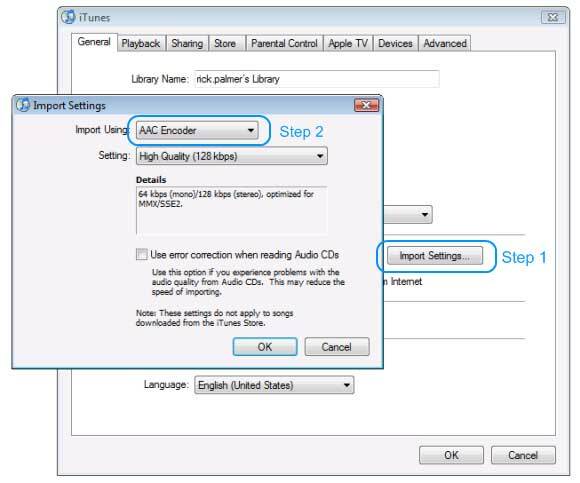 Step 1: Configure iTunes to convert music to AAC format. AAC is the standard ringtone music file format, and you tell iTunes to use this format by configuring it’s Import Settings (the same settings you use when importing music from a CD). Open iTunes and select the “Edit” >> “Preferences” menu. Click the “Import Settings” button and choose “AAC Format“. 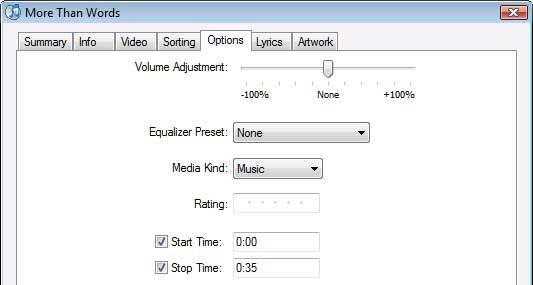 Step 2: Trim the song length. Music files that are converted to ringtone format will not be recognized by your iPhone if they’re longer than 35 seconds. Select the song in iTunes that you want to convert to a ringtone, and select “Get Info” from the pop-up menu. Select the “Options” tab and change the Stop Time to 0:35. This step must be completed before attempting the next step, or the file length will be too long. Step 3: Convert the song to AAC format. Right-click on the song in iTunes, and select “Create AAC Version“. iTunes will create a copy of this song in AAC format, but it will be trimmed to 35 seconds. Step 4: Rename the AAC music file with a .m4r file extension. The converted music file from the previous step will have a .m4a file extension, which needs to be changed to .m4r in order for iTunes and your iPhone to recognize it as a ringtone. You can change the file extension right from Windows Explorer (or using the Finder on a Mac). Find the place where iTunes created the new file by right-clicking the song again in iTunes and selecting “Get Info“. The file location will be at the bottom of the Get Info screen, under “Where“. Step 5: Open the ringtone with iTunes. Now that you’ve converted your song to AAC format and renamed it with a .m4r file extension, it’s ready to load into iTunes where it can be. 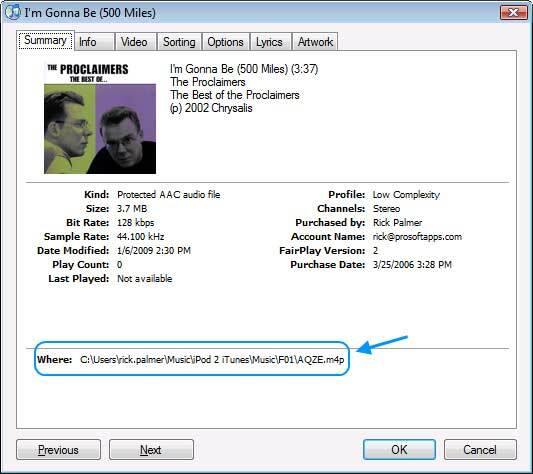 You can double-click the .m4r file from Windows Explorer, or drag and drop it onto your iTunes music library. 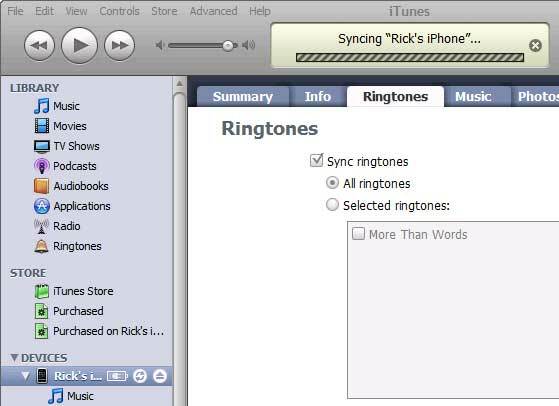 iTunes will automatically place the song in your “Ringtones” folder. Step 6: Sync your iPhone with iTunes. When you sync your iphone with itunes, your new ringtone will be copied to the ringtone folder on your iphone and can then be assigned as your default ringtone, or as a ringtone for a particular contact. Select your iPhone from iTunes and click the “Sync” button. 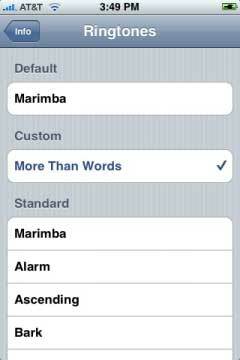 Step 7: Set the default ringtone on your iPhone. Back on your iPhone, you can set the new ringtone as your default ringtone by tapping “Settings” >> “Sounds” >> “Ringtone“. Your custom ringtone will be listed at the top of the screen in a section titled “Custom“. You can also assign the ringtone to an individual contact(s). Just go to your “Contacts“, tap on the desired contact, and tap “ringtone to assign the song as that contact’s ringtone. Done. If you’ve purchased a song from iTunes, then they’re locked from being copied or converted to other formats from within iTunes. 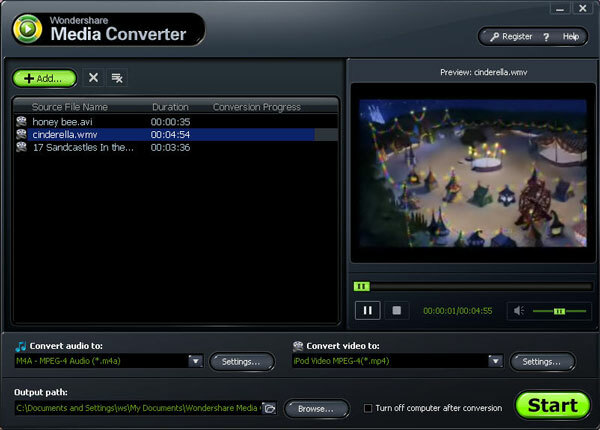 You’ll first need to use a program like Wondershare DRM Media Converter to remove the DRM protection, allowing the song to be converted to rintone format using the instructions above. Open this folder in Windows Explorer, and copy the file to another location on your hard drive. 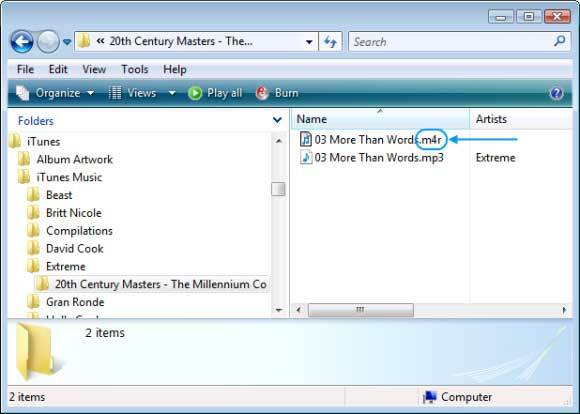 Load the file in Wondershare DRM Media Converter and convert it to regular MP3 format. This program plays the file and records the sound to a digital format, so on cracking of DRM protection is used (which keeps it legal). Drag the MP3 file back into iTunes and follow the instructions above for converting it to AAC ringtone format, syncing it to your iPhone and setting it as the ringtone for one or all of your contacts.